Justice Joseph clarified that CPI(M)-led LDF and the Congress-led UDF had approached him for a ticket following his retirement last year. He added that he told them clearly that he had no plans of contesting in the elections anytime soon. Justice Joseph clarified that CPI(M)-led LDF and the Congress-led UDF had approached him for a ticket following his retirement last year. He added that he told them clearly that he had no plans of contesting the elections anytime soon. “Many people from both sides were asking whether I am interested in (contesting from) Kottayam, Ernakulam, Thrissur and Chalakudy etc. But I told them it’s not a question of constituency but a question of my interest,” Justice Kurian Joseph told the news channel. Notably, Justice Kurian Joseph’s entry into politics has been speculated by political camps across Kerala. 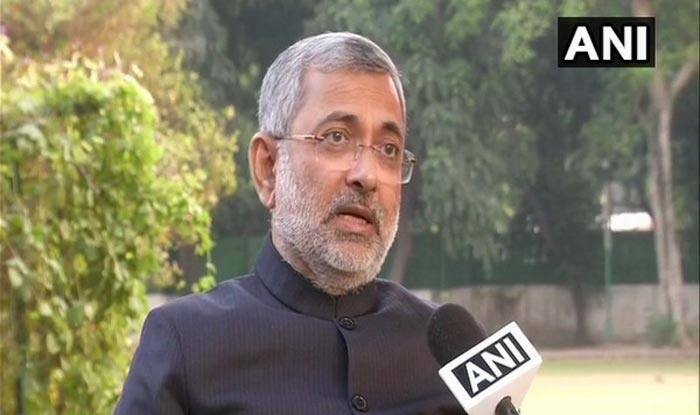 The political parties were expecting that his entry might help garner people’s support as Justice Kurian has had a clean image in the judiciary. On November 29, bar leaders bid adieu to retiring Justice Kurian Joseph, terming him as one of the most “popular” judges in recent times with a “pleasant smile”. He was a part of the seven-judge constitution bench, which for the first time in the history of Indian judiciary, had held a sitting high court judge — Justice C S Karnan of the Calcutta High Court — guilty of contempt and sentenced him to a six month jail term. Justice Joseph was also in the Constitution bench headed by Justice J S Khehar that had scrapped the National Judicial Appointments Commission (NJAC) Act to deal with appointments in higher judiciary. Justice Joseph, who began practising in the Kerala High Court from 1979, was appointed as an Additional Advocate General in 1994 and was designated as a senior advocate in 1996. He assumed office as a judge in the Kerala High Court on July 12, 2000, and served as the Acting Chief Justice of the high court twice. He was later appointed as the Chief Justice of Himachal Pradesh High Court on February 8, 2010. Justice Joseph was elevated as a judge of the Supreme Court on March 8, 2013.